–Developers claim the wind farm will produce about 75 percent of the power for Cape Cod, Nantucket and Martha’s Vineyard. –Cape Wind will stretch across 25 square miles of Nantucket Sound, like about 5 miles from the nearest shore on the mainland and about 14 miles from Nantucket. –The tip of the highest blade of each of the 130 turbines would reach 440 feet above the water. –Carbon dioxide emissions will be reduced by the equivalent of taking 175,000 cars off the road. –1,000 construction jobs will be provided. –Outside the U.S. there are more than 800 giant wind turbines off the coasts of Denmark, Great Britain and seven other European countries. China’s first offshore wind farm goes online this month with more in the pipeline. Several large household names have jumped into the windpower business including Siemens, General Electric and Vestas, a Danish company that has the largest installed base. But there are small caps involved, too, and privately held companies that should benefit from the progress in Cape Cod. Kaydon (NYSE:KDN, http://www.kaydon.com) is a fair sized ($1.3 billion market cap) Ann Arbor, MI-based company that makes parts such as custom bearings for windmills. 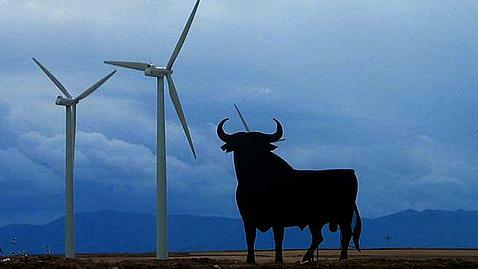 In 2008 they built a manufacturing facility in Monterrey, Mexico devoted to servicing the wind energy industry. Investors seem to be connecting them to the Cape Cod news. The stock is now trading at more than $45, well over its 52-week high of $42.56. Otter Tail Corp. (Nasdaq: OTTR, http://www.ottertail.com) is a Fergus Falls, Minn.-based electric utility ($807 million market cap) that manufactures and markets wind towers and also distributes electricity in Minnesota, North Dakota and South Dakota. Nearly a week after the Cape Wind announcement their stock was trading at $22.50. Its 52-week range is $18.63–$25.40. 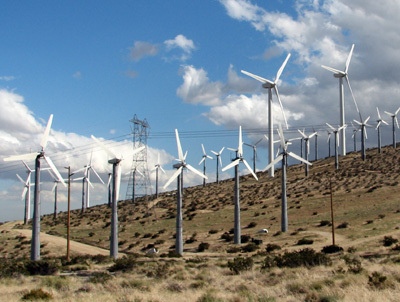 Western Wind Energy (TSX:WND, http://www.westernwindenergy.com) is a Canadian company ($75 million market cap) with more than 500 wind turbines in California. Shortly following the announcement shares were trading at $1.52, up $.06, and headed toward their 52-week high of $1.99. Two other non-U.S. companies might deserve a look. In Japan, an interesting windmill company is Loopwing (www.loopwing.co.jp). It’s unusal design is said to greatly reduce vibration an noise as compared to more traditional designs. And across the pond, privately-held, Suffolk-based Wind Power Ltd. (www.windpower.ltd.uk) develops large scale vertical axis wind turbine technology. The company began as a small research group but now offers a range of products and services. Talk of a “Smart Grid” is everywhere, even the Super Bowl (http://earth2tech.com/2009/01/31/ge-ups-smart-grid-ante-with-super-bowl-ad-campaign/). It’s easy to see why, with President Obama poised to spend a healthy portion of his $900 billion-plus stimulus package on the creation of a Smart Grid, the common term for a revamped electrical grid that is much more efficient and uses alternative energy whenever and wherever possible. The city of Boulder, CO is turning itself into a “Smart City” (http://smartgridcity.xcelenergy.com/story/index.html), the entire island of Malta, with the help of IBM (NYSE: IBM, http://www.IBM.com), is vying to become the first “Smart Island” (http://earth2tech.com/2009/02/04/ibm-welcome-to-smart-grid-island/). For entrepreneurs, startups and smallcaps everywhere, this is the time to jump on a bandwagon typically reserved for the big guys like IBM and GE (NYSE: GE, http://www.ge.com). A small company like Tyngsboro, MA-based Beacon Power (Nasdaq: BCON, http://www.beaconpower.com) is focused on energy storage through the development of a flywheel technology that “uses spinning disks to help stablize electricity grids, allowing the grids to run more efficiently,” according to earth2tech.com (http://earth2tech.com/2009/02/04/flywheel-energy-storage-hits-the-high-seas/). On the topic of grids and energy, there is promise in the use of advanced lead-acid batteries supplied by New Castle, PA-based Axion Power International (EBB: AXPW, http://www.axionpower.com). These batteries are currently being tested for their grid buffering and storage capabilities in a demonstration project directed by privately-held, NY City-based Gaia Power Technologies (http://www.gaiapowertechnologies.com) for NYSERDA. Axion Power, which is trading at 95 cents (off its 52-week high of $2.75) just received two grants, including an $800,000 grant from the state of Pennsylvania to demonstrate the effectiveness of their battery technology in electric vehicles and HEVs. The Smart Grid and the power distribution industry is the focus of the DistribuTECH conference this week in San Diego. Smallcaps attending include Pittsburgh, PA-based Tollgrade Communications (Nasdaq: TLGD, http://www.tollgrade.com), which is displaying its new centralized remote monitoring system to improve service delivery for power utlility operations and efficiency of grid systems. The company’s stock is trading at $5.82 and has been on a nice uptick since hitting a $3 bottom last fall. Also attending DistribuTECH is Devens, MA-based American Superconductor Corp. (Nasdaq: AMSC, http://www.AMSC.com), which develops technologies to increase electrical grid capacity and reliability and supplies electrical systems used in wind turbines, among other things. The company hosted a program called “Power Delivery Solutions for the Smart Grid” at the show. The company now has a $719 million market cap and is trading at $16.61, well above its low of $8.22 only a few weeks ago.